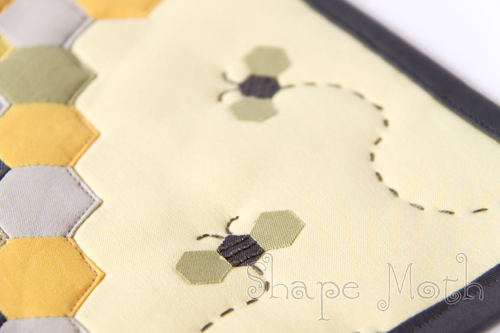 Shape Moth: Hexie -bee mug rug finished! 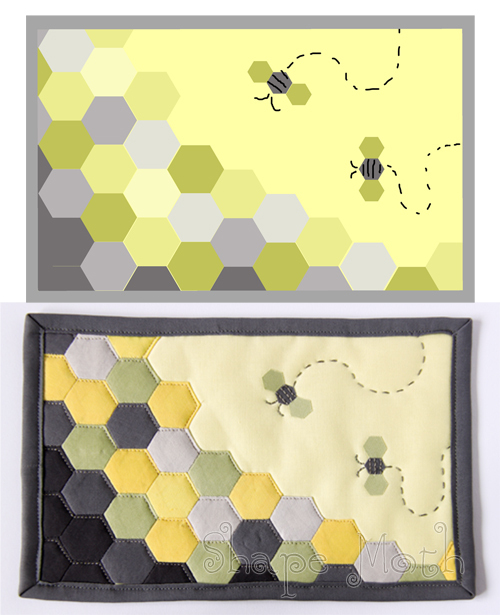 Hexie -bee mug rug finished! Jasne, że nam się podoba:))) Mnie na pewno - świetny Mug Rug! wow ale masz tempo!! wczoraj projekt dzisiaj gotowy wyrób wow!! I love seeing the design next to the finished product! It is wonderful. You have a lucky partner! Pszczoły są przesłodkie! I te plasterki miodu... mniam, mniam! fantastyczna robota!! jestem pełna podziwu dla tak wiernego odwzorowania projektu! Jest ladne! I love the colours and the perfection of the hexies!! You are one seriously talented lady. Your mug rug is so cute! And the color choices were perfect! That's super cute! 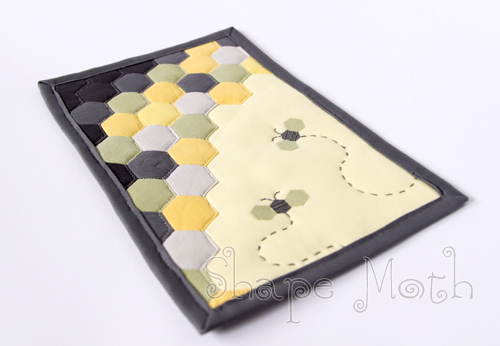 And possibly a hexie project I might ever have a hope of completing. Oh that is fantastic!! What great detail and such a fun project! I'm so impressed! I just love this mug rug. They have been on my list of things to do and you have certainly inspired me...so cute and I love the bees. Thanks for stopping by my blog party! How precious is that! I would love to just stitch those simple lines from the bees--too much fun! Just wanted to let you know that you really inspired me and I set to work making one of my own. I will post it on my blog sometime today. What a fun project! Oh my! This is so cute! Love your creativity! what a great project! we are featuring it today! thanks for linking up. we can't wait to see what you have next week!